Back in February, U.S. Cellular announced its LTE network, along with the Samsung Galaxy S Aviator as its first LTE smartphone. The Aviator is officially available today for $199.99 after $100 mail-in-rebate and the signing of a two-year agreement. If you happen to be in one of U.S. Cellular's LTE coverage areas, however, you can snag this device for $99 after a $100 mail-in-rebate for a limited time. So there you have it - if you've been waiting for U.S Cellular to launch its first LTE device, your wait has ended. The Aviator is available today at all U.S. Cellular stores and online. CHICAGO (April 5, 2012) – U.S. Cellular (NYSE: USM) and Samsung Telecommunications America (Samsung Mobile), the No. 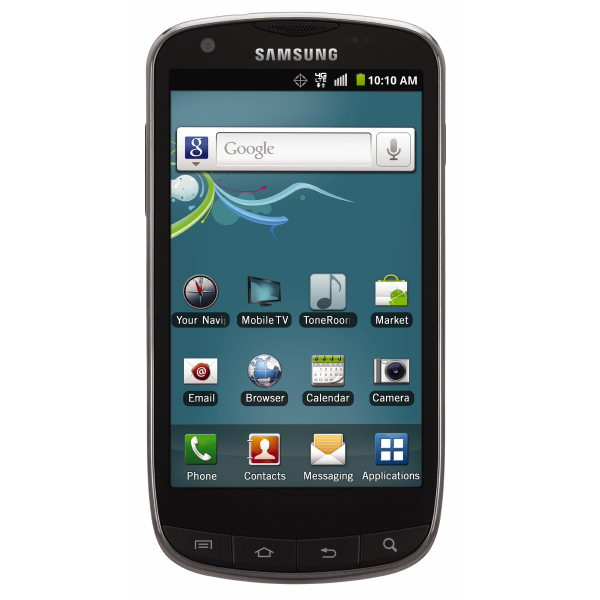 1 mobile phone provider in the U.S.1, have announced that the Samsung Galaxy S® Aviator™ is available today, both in stores and online at uscellular.com. The Android™-powered smartphone runs on the 4G LTE™ network, with speeds up to 10 times faster than 3G, and is the first 4G LTE smartphone in the carrier’s device line-up. The Galaxy S Aviator will be available for $199.99 after a $100 mail-in rebate. For a limited time, the smartphone will be available for $99.99 after a $100 mail-in rebate in select markets covered by the 4G LTE network. Visit uscellular.com for detailed pricing. Powered by Android 2.3.6 (Gingerbread), the Galaxy S Aviator has a 4.3-inch Super AMOLED™ Plus touchscreen and front-facing camera for easy video chatting. This sleek and slim smartphone allows you to connect quickly to entertainment and the Internet on-the-go. Users also have access to Google Play, formerly known as the Android™ Market, a one-stop shop for Android users to access nearly half a million apps, millions of songs and books, and thousands of movies. The 4G LTE network builds on the 3G data services that U.S. Cellular customers already enjoy on the carrier's high-quality nationwide network. The Galaxy S Aviator will be available to all U.S. Cellular customers and will run on the 4G LTE network in markets where it is available and on U.S. Cellular’s nationwide 3G network in all other areas. U.S. Cellular customers enjoy unique benefits, such as new devices faster without resigning contracts, free Overage Protection and free Battery Swap. U.S. Cellular also offers customers the only points-based rewards program in the industry, which rewards customers for simple things, such as paying bills on-time, adding a line or referring friends and family. Points may be used for faster phone upgrades, additional lines, devices, accessories and ringtones. It’s one of the reasons U.S. Cellular has the happiest customers in wireless. U.S. Cellular, in partnership with King Street Wireless, currently offers 4G LTE service in select cities in Iowa, Maine, North Carolina, Oklahoma, Texas and Wisconsin. In the second half of this year, 4G LTE coverage will expand to cover select cities in Illinois, Maryland, Missouri, New Hampshire, Oregon, Tennessee, Vermont, Virginia, Washington and West Virginia. By the end of 2012, 54 percent of U.S. Cellular customers will enjoy faster 4G LTE speeds. For more information about the 4G LTE experience, visit uscellular.com/4G. The Galaxy S Aviator will be available for $199.99 after a $100 mail-in rebate. For a limited time, the smartphone will be available for $99.99 after a $100 mail-in rebate in select markets covered by the 4G LTE network. Visituscellular.com for detailed pricing. Purchase of a data plan is required and a new two-year agreement and activation fee may apply for new customers. Additional terms, conditions and/or charges may apply.